There’s a reason why scary movies often feature cockroaches. Filmmakers play to our fears of this creature, making our skin crawl when they show up on screen. As gross as the insects are, it’s not simply their appearance we fear. Rather, it’s how quickly their infestations grow in number. Even if the cockroaches aren’t human-sized in real life, the thought of them reproducing at lightning speed is enough to scare us. It’s important to take action before it’s too late if you ever spot one in your Virginia home or business. 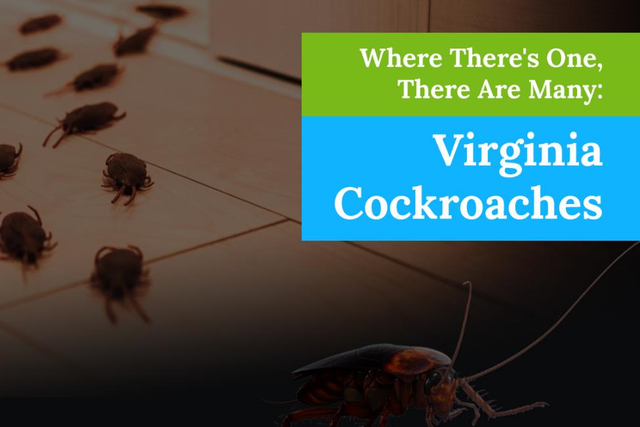 What If You See a Cockroach in Virginia? If you spot one cockroach, you can bet that it has friends – and it’s likely that the bug has lots of them. Cockroaches typically measure a little more than two inches long, but if you run into a tropical beastie it’ll probably be larger (though you don’t have to worry about that in our area). These pests have six legs and two antennae, and to make them even more disturbing, some have wings. Fortunately, the ones with wings aren’t good at using them. Cockroaches are nocturnal, meaning they’re not active when we are. They hide during the daylight hours and come out to find food when the sun goes down. If you do spot one during the day, then the infestation has been building for some time. In fact, this is a sign that drastic cockroach extermination steps are required. Overcrowding is what causes them to come out during the daytime because there are too many of them for the amount of food that’s available. Roach droppings are another common sign of a growing infestation. Often, they’re mistaken for the ones left behind by rodents, as they’re similar in size and shape. The big difference is that roach droppings have blunt ends and ridges along the sides. Roach infestations also feature a distinctive odor. The reason for this is that the critters emit a musty-smelling pheromone. If you have a sensitive nose, then you’re likely to notice it. Egg capsules are a visible sign that you have an infestation – and this is an unfortunate sign it’s growing fast. Roach eggs are about eight millimeters long and dark colored. You might see them in your basement, kitchen, or laundry room. When roach eggs are present, then they may be attached to a surface that’s located near the insect’s food sources. Roaches’ fast reproduction rates are a big problem, but they’re nothing unless they find a way indoors in the first place. When cockroach infestations occur, it’s usually blamed on filth and grime. While it’s a good idea to keep your home or business tidy and limit the food sources preferred by the bugs, keep in mind that they infest structures for many reasons. You may wind up with an infestation because a few were hanging out on an item that you brought inside. Gaps and cracks in a structure’s exterior can also result in an infestation. The insects frequently infest homes and businesses through sewer pipes and drains. If you live in an apartment complex and your neighbor has roaches, then you may get them too because they travel between living spaces via ventilation and electrical systems. Regular cleanings: Keeping your space clean is one prevention method. Don’t let dirty dishes remain in the sink for days, and keep your floor free of food debris. Don’t leave pet food out, and be sure to store your food in airtight containers. Try to vacuum your space weekly. Also, ventilate crawl spaces to prevent the buildup of moisture. Barrier exclusion: Barrier exclusion is another way to dissuade the bugs from moving into your place. After all, they can’t wreak havoc if they can’t get in. This method may consist of searching your home or business for entry points like gaps around switch plates and electric sockets. If you spot any of these small openings, seal them with caulk. 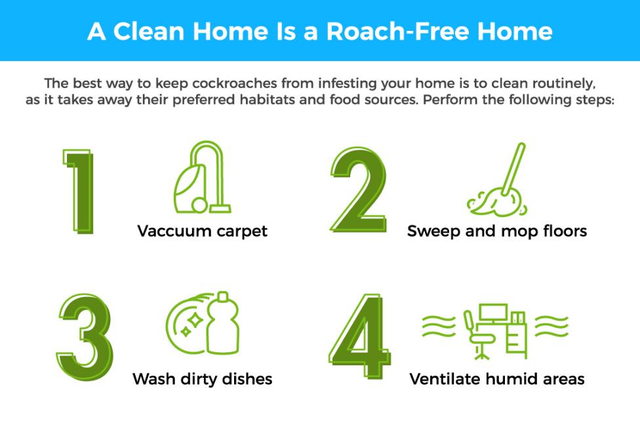 Keep in mind that roaches are especially adept at hiding, making them a tough pest to get rid of with do-it-yourself methods. Along with this, roach eggs have a natural protection against a number of over-the-counter insecticides. For effective roach control, special materials, equipment, and knowledge are required. Anytime you suspect a pest infestation in Virginia, it’s best to reach out to pest control experts. 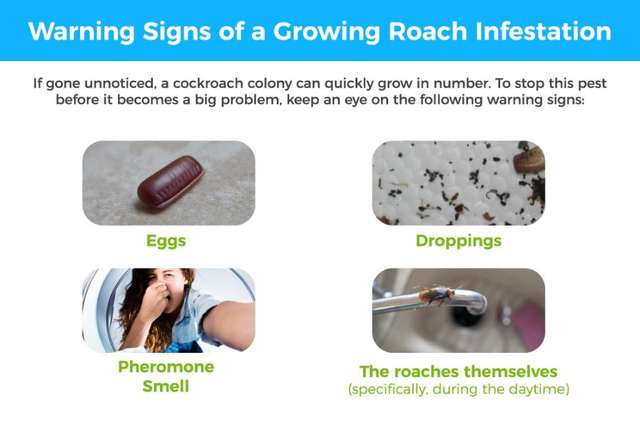 If roaches have decided to make themselves at home in your home, our roach control pros at Connor’s Pest Control will create an extermination plan – one designed to restore your peace of mind. You don’t have to live in fear of this pest and its potential to grow into a frighteningly large problem. Contact us today to take care of your cockroach problem once and for all.